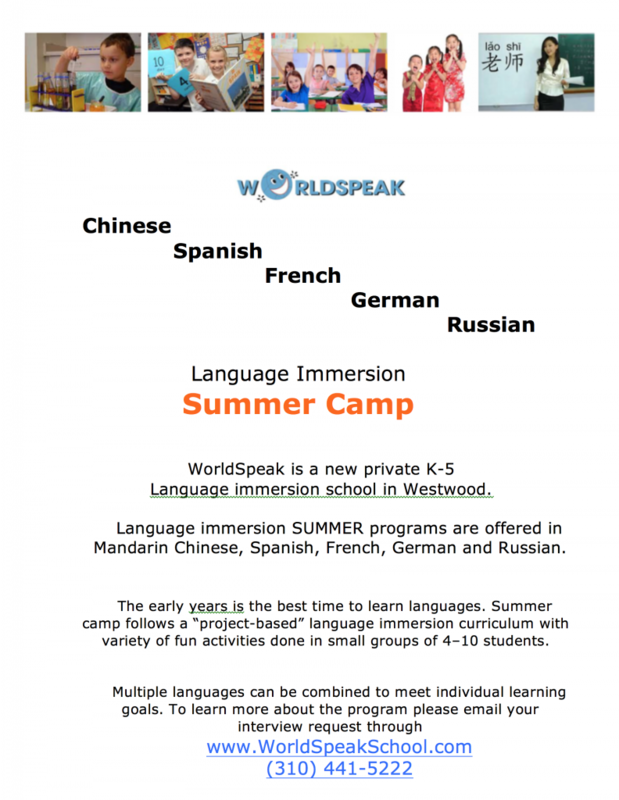 WorldSpeak is having a multi-aged languages camp for 5yr to 10 yrs old in Chinese, Spanish, French, German and Russian this coming summer. See flyer attached. It may be shared through school board, or may be FaceBook, or may be parents email list, – whatever is the best and commonly used in school. We wish you a wonderful summer and Thank you for remembering your WorldSpeak teachers and staying in touch!